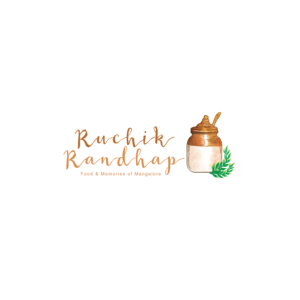 Ruchik Randhap means ‘delicious cooking’ in Konkani, one of the languages spoken in Mangalore which is a melting pot of cultures, cuisines, religions and languages. Mangalorean food is moderately spicy or perhaps it depends on your palate and the specific sub cuisine you are trying. The blog has a wide collection of recipes from sub-cuisines of Mangalore such as Catholic, Bunt, Brahmin, Konkani, Protestant & Beary which are similar yet distinctly different at the same time. I sincerely believe that there is more to Mangalorean food than the ever popular neer dosa, kori rotti, ghee roast or masala dosa and I invite you to walk with me on this culinary journey of re-discovering new flavours. After a lot of contemplation on selecting a suitable theme, I conceptualized a logo that captures the essence of my blog which is to preserve traditional Mangalorean recipes. Although the term ‘randhap’ essentially means ‘cooking’ or ‘culinary’ I wanted to select something that aids it indirectly and what better than the unassuming ‘buyaon’? The buyaon (also called as ‘bharani’ in other Indian languages) is a ceramic jar that comes in a basic white and ochre colour combination. It comes in two basic shapes – tall & straight and pot shaped and many different sizes to accommodate various preserved foods ranging from pickles, salt, tamarind, fruits & vegetables in brine and even wine. In the olden days the ‘buyaon’ was an integral part of every Indian kitchen and a common sight. Today, I have a few that with their old-world charm, adorn my kitchen counter. The logo also features sprigs of curry leaves,that are an indispensable part of Mangalorean cuisine and a staple in my kitchen. Hi! and welcome to ‘Ruchik Randhap’! I am Shireen Sequeira, the author & photographer of this blog. I was born and brought up in Mangalore, a small coastal town in South India and after my marriage moved to Mumbai. Life in a mega city that never slept, a hectic work & travel schedule coupled with almost zero cooking skills made me miss the comfort of my home and mother’s cooking. Add to this a newborn baby, no full-time help & a job to juggle – truly a recipe for disaster (pun intended!). So essentially, the blog was born in 2009 out of the sheer necessity to document traditional recipes passed down by my family as this was the only way to recreate the tastes of my childhood and ensure that my family was well fed. 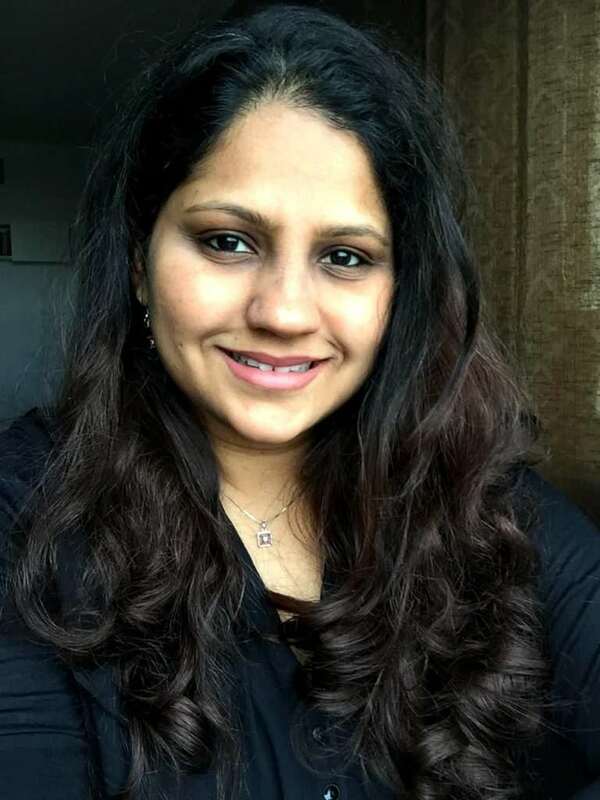 The blog did not just record lost & forgotten recipes of Mangalore but also served as a creative outlet for someone who had just left behind a very promising career in the corporate world to care for her infant. Over the years the need to preserve family recipes turned into a passion to preserve my culinary heritage and pass it on to other Mangaloreans, especially those who had little knowledge of or access to traditional recipes, many of whom lived away from their homes. Appreciation poured in and new friendships were forged, after all, we shared the same sentiment and bonded over food. I am glad and humbled that the blog in some way has become a medium of giving back to society while in return, receiving a treasure of wonderful people that I cherish as friends. In my blog, I ensure that only tried, tested and accurate recipes are documented and supported by pictures that aim to capture the essence of the dish. Being a self-taught photographer I firmly believe in the adage ‘we eat with our eyes first’ and so I try to present the food as aesthetically and true to its nature & tradition as possible. I am an avid reader and a dark chocolate addict. I love music & movies, cats & dogs, writing & photography in no particular order and currently reside in Dubai along with my wonderful husband and two beautiful children. I hope you enjoy browsing through the various categories of recipes. If you need to get in touch with me, my contact details are below. I’d love to hear from you! Happy cooking and thanks for stopping by!